Mazda Philippines has confirmed that some MX-5 units in the country are affected by a recall regarding its Transmission Control Module or TCM. 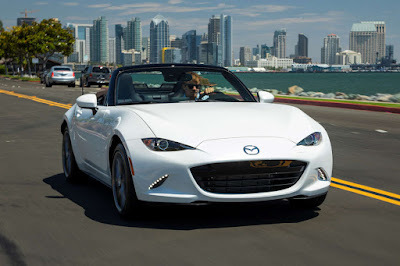 Limited to units equipped with automatic transmissions with production dates ranging from 2016 to 2019, these MX-5 may have unwanted “electrical noise” or interference causing the transmission to unexpectedly downshift causing an abrupt deceleration. Mazda says the solution is a re-programming of the TCM in order to eliminate this signal noise. No parts need replacement. Bermaz Auto Philippines, the official distributor of Mazda vehicles in the country has already supplied their dealers with the appropriate software fix. In turn, these Mazda dealers will contact affected owners to bring their MX-5 units. This TCM reprogramming is free of charge and requires just an hour. Currently, Mazda Philippines is working on it. Will try to get an update on this.